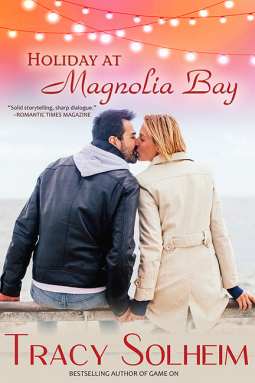 Andrew "Drew" Lanham is a Navy SEAL in desperate need of a vacation and what better place to go to than his godmother's home in Magnolia Bay. Jenna Huntley is a Marine biologist with a love for sea turtles and Miss Evie (Drew's godmother). Her first meeting with Drew is less than stellar, the second is even worse, especially when Miss Evie starts playing matchmaker. These two eventually form a relationship that quickly develops into love, granted a Navy SEAL with a lot of issues is bound to mess things up. Don't worry nothing a little reflection can't fix and to boot, he'll give Jenna the best Christmas ever. It's a very lighthearted read to curl up with these cold winter nights.